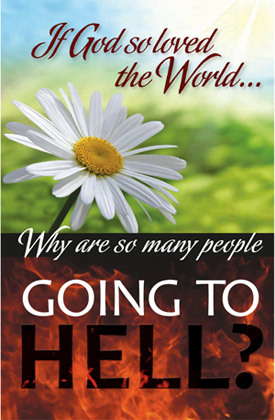 If God so Loved the World, Why are so Many People Going to Hell? Traditional Christian teachings about hell would consign at least 80% or more of humanity straight to an eternal and never-ending torment in an ever-burning “hell” when they die. Is this really the action of a just and merciful God? The common teaching about hell is really a mistaken tradition that has replaced what the Bible actually reveals about life, death and God’s plan of salvation. It has extinguished the real hope that God offers for everyone who has ever lived. There are simple Biblical truths that open up new avenues of understanding about how God treats everyone with respect and justice. 80% of humanity is not going to be tormented forever in a burning “hell fire.” Read on to find out what traditions hide and what God intends for you to understand. Please wait while your file downloads in a new window. If your congregation would like to order this full color booklet in bulk, the requested donation is $2.00 per booklet, with a minimum of 25 copies. This includes shipping.